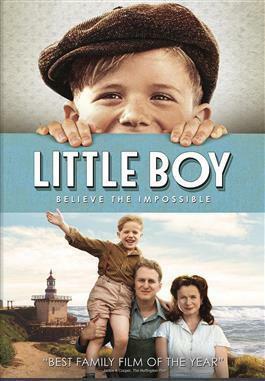 From the producers of the acclaimed movie Bella comes this powerful and heartwarming story of a little boy who is willing to do whatever it takes to bring his dad home from World War II alive – even if that means a miracle. Set in a California coastal town in the 40s, the story reveals the indescribable love a little boy has for his father and his strong faith that God will save him from the devastating war. Combining glorious cinematography with outstanding acting and a beautiful music score, this inspirational film is an unforgettable tale of love, faith, joy, family, sacrifice, and redemption. An all-star cast includes Kevin James, Emily Watson, David Henrie, Tom Wilkinson and Eduardo Verastegui.